“An HTTP cookie is a small piece of data sent from a website and stored on the user’s computer by the user’s web browser while the user is browsing. Cookies were designed to be a reliable mechanism for websites to remember stateful information” – Wikipedia. Cookies enable the website to remember your actions and preferences (such as language, font size and other display preferences) over a period of time, so you don’t have to keep re-entering them whenever you come back to the site or browse from one page to another. Cookies can be set and read by the website itself or by authorized third party websites listed below. They can also be either temporary or persistent. Temporary cookies are session cookies which are only used for a session. Persistent cookies remain in your browser’s cookie file for much longer, depending on the specified lifetime of the specific cookie. Cookies are unique identifiers and can be used to associate personal information to the cookie. - User preferences. Cookies are used to remember choices you make (such as language preference, country location, or other online settings). These cookies help us make your user experience more consistent and convenient and allow you to login and use our service. Social-Searcher.com is provided for your personal use only. Users of Social-Searcher.com may not reproduce, republish or redistribute material from the web site in any form without permission of Social-Searcher.com or the original copyright holder. 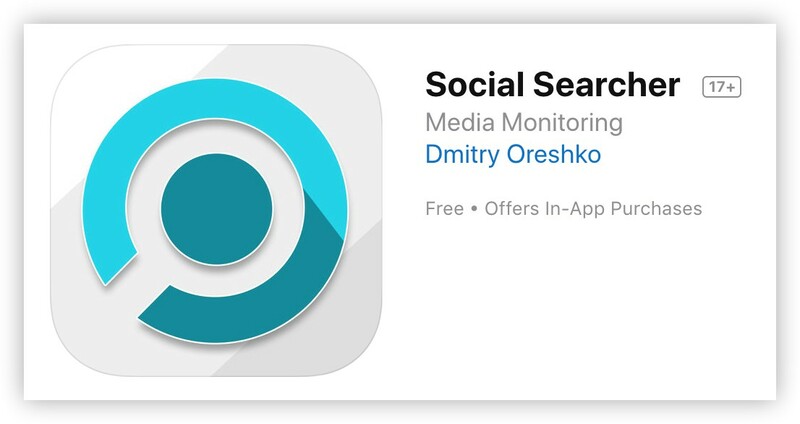 All real time search results are fetched using publicly accessible Open Search API of the social networks and not censored. I cannot be held responsible for any persons actions as a result of using the site. Absolutely no information from any of the data providers includes, but not limited to Facebook, Twitter, or Google is being collected or stored. All attempts have been made to ensure the accuracy and reliability of the information provided on this website. However, the information is provided “as is” without warranty of any kind. Dmitry Oreshko does not accept any responsibility or liability for the accuracy, content, completeness, legality, or reliability of the information contained on this website. No warranties, promises and/or representations of any kind, expressed or implied, are given as to the nature, standard, accuracy or otherwise of the information provided in this website nor to the suitability or otherwise of the information to your particular circumstances. We shall not be liable for any loss or damage of whatever nature (direct, indirect, consequential, or other) whether arising in contract, tort or otherwise, which may arise as a result of your use of (or inability to use) this website, or from your use of (or failure to use) the information on this site. This website provides links to other websites owned by third parties. The content of such third party sites is not within our control, and we cannot and will not take responsibility for the information or content thereon. Links to such third party sites are not to be taken as an endorsement by Dmitry Oreshko of the third party site, or any products promoted, offered or sold on the third party site, nor that such sites are free from computer viruses or anything else that has destructive properties. We cannot and do not take responsibility for the collection or use of personal data from any third party site. In addition, we will not accept responsibility for the accuracy of third party advertisements. Copyright on materials contributed by Social-Searcher.com members is held by the individual creators. All text, files, images, graphics, photos, audio clips, sounds, video or other materials (the “Content”) posted on, transmitted through, or linked from the Site, are the sole responsibility of the person from whom such Content originated. You are entirely responsible for all Content that you post, email or otherwise make available through the Site. For all Content provided by you, you agree to indemnify Provider as provided below. By posting any Content on the Site, you represent and warrant: (i) you own or otherwise have all necessary rights, including but not limited to copyrights, to the content you provide and the rights to use it as provided in this Terms of Service; (ii) all information you provide is true, accurate, current and complete, and does not violate these Terms of Service; and, (iii) the content will not cause injury to any person or entity,(iv) the content doesn’t have pornographic, hate-related, violent, or illegal material. For all such information and material, you grant Social-Searcher.com, its affiliates and related entities, a royalty-free, perpetual, irrevocable, non-exclusive right and license to use, copy, modify, display, archive, store, distribute, reproduce and create derivative works from such information, in any form, media, software or technology of any kind now existing or developed in the future. This is a community Site. As such, there are interactive areas where users can express opinions and share ideas and information. Social-Searcher.com cannot and does not monitor all of the material posted or transmitted to the Site. Additionally, Social-Searcher.com does not control, and is not responsible for, Content made available through the Site by members. You also agree that under no circumstances will Social-Searcher.com or its affiliates be liable in any way for any Content or for any loss or damage of any kind incurred as a result of the use of any Content posted, emailed or otherwise made available via the Site. You acknowledge that Provider does not pre-screen or approve Content, but that Social-Searcher.com shall have the right (but not the obligation) in its sole discretion to refuse, delete or move any Content that is available via the Site, for violating the letter or spirit of the Terms or for any other reason. Social-Searcher.com reserves the right to delete any posting at any time, for any reason or no reason. that includes personal or identifying information about another person without that person s explicit consent. that constitutes or contains any form of advertising or solicitation. Social-Searcher.com expects its partners, advertisers and third-party affiliates to respect the privacy of our users. However, third parties, including our partners, advertisers, affiliates and other content providers accessible through our site, may have their own privacy and data collection policies and practices. For example, during your visit to our site you may link to, or view as part of a frame on a Social-Searcher.com page, certain content that is actually created or hosted by a third party. Also, through Social-Searcher.com you may be introduced to, or be able to access, information, Web sites, advertisements, features, contests or sweepstakes offered by other parties. Social-Searcher.com is not responsible for the actions or policies of such third parties. You should check the applicable privacy policies of those third parties when providing information on a feature or page operated by a third party. We use third-party advertising companies to serve ads when you visit our Web site. These companies may use non-personal information (I.e., information that does not including your name, address email address or telephone number) about your visits to this and other Web sites in order to provide advertisements about goods and services of interest to you. Social-Searcher.com does not knowingly collect or solicit Personally Identifiable Information from or about children under the age of 13 except as permitted by law. If we discover we have received any information from a child under the age of 13 in violation of this policy, we will delete that information immediately. If you believe Social-Searcher.com has any information from or about anyone under the age of 13, please contact us at info[at]Social-Searcher.com. 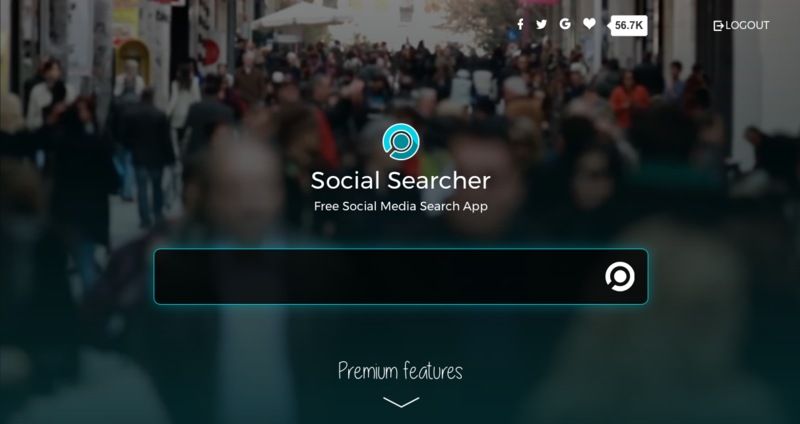 Social Searcher provides caching service of the social networks posts for the better user experience and it’s for personal use only. The data obtained from the service can’t be published in form of directory, search engine or other ways that violate appropriate social network API policies. It’s also prohibited to use data provided by the service for commercial and other third-party services in the form in which it was fetched directly from the service. - SPAMMING. Sending emails to lists or groups that you do not have permission to send them to. - Adult, Hate, or other related sites are not allowed. - Placing links in resources that do not require registration and authorization, like guestbooks etc. - Any display of a merchant window that isn’t the result of a direct click by the end-user. - Usage and any mentions of the Social Searcher brand name as a keyword in your advertising campaigns across all search engines, including any misspellings in the brand name. - Usage and any mentions of the Social Searcher brand name in domain name of your websites. Fraud is a serious offense, and will be treated as such. Fraud is defined as any action that intentionally attempts to create sales, leads, or click-throughs using robots, frames, iframes, scripts, or manually “refreshing” of pages, for the sole purpose of creating commissions. ANY ATTEMPTED FRAUD OR FRAUD WILL RESULT IN MEMBERSHIP TERMINATION AND VOIDED COMMISSIONS.